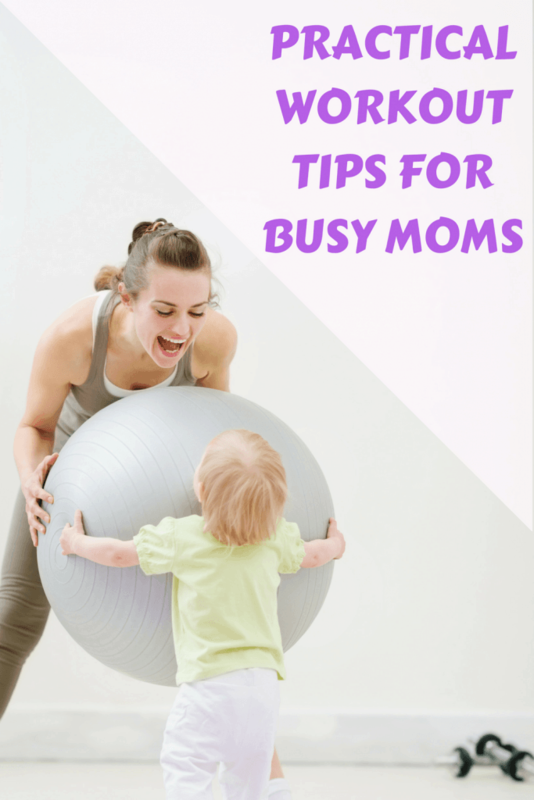 Trying to balance life and motherhood can leave little time for working out. Here are some tips to fit a little bit of fitness into your daily routine. As baby gets older they can do yoga or other workouts with you. My little girl is just shy of a year old and will already try to mimic my motions a bit if I start doing push ups or something on her play mat. This can grow into walks, runs, and other workouts together. Remember, our little ones watch everything we do! So working out together early is setting a great example for them. As a busy mom the day can pass in a flash. By the time your little one is in bed sometimes you don’t know where the day has gone. So if your really want to get your workouts in you might try scheduling them. Put it on your calendar, the calendar on your phone is a great choice. And then set an alert to go off when it’s time to workout. This may help you to actually find time to do it in your day and just help you remember since mom brain can be a killer. Bonus: Put a link to a favorite workout video or YouTube fitness channel in the calendar reminder. walks at least a few times a week. They love the change of scenery and getting some fresh air is good for everyone. However, pushing a stroller around your neighborhood often isn’t very aerobic unless you’re going up and down hills. To make this activity you’re already doing more effective try babywearing, carrying a 15-20 lb baby can be quite a workout. Try finding some hills in your area to give yourself a good cardio and calf workout. Or, you can go 80’s status and invest in some ankle weights. Strap them on before your walk to add an extra challenge without needing to up your speed. At the playground or brain just too tired to think up a workout routine? Download an app on your phone to give your some quick workouts you can do anywhere. Two of my favorites are Blogilates and and the Jillian Michaels app. They both feature short workouts that you can with little to no equipment, making it perfect for busy moms. Be sure to check out my full review of the My Fitness by Jillian Michaels app including a video tutorial of how it works. 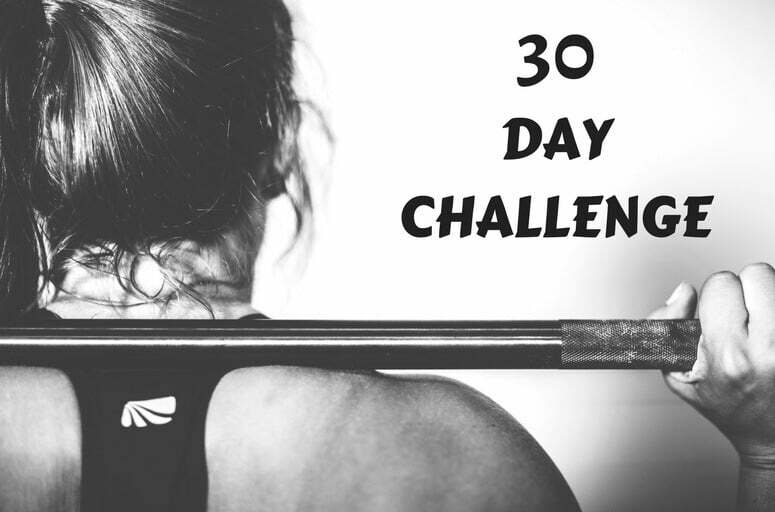 30 day challenges can be great for getting you started with a workout routine. You’ll be able to see progress to keep you motivated and they generally only involve a few minutes per day. By the end you should be in the habit of fitting a little workout time into each day. You can find a ton of these on Pinterest! Having trouble staying on track? Then you need an accountability partner! Set up a plan with another new mom in person, through text messages, or even through a Facebook group. You can share your success or even take turns setting up the workout schedule for the week. Try to find someone at your same level, especially if you get easily discouraged. It can be hard to see your partner doing harder or longer workouts. Just remember, we all have to start somewhere and all of our bodies are different. So long as you’re making an effort you should see rewards. Tracking is a great way to be accountable as well and a fitness tracking watch can help with that. Step counters have gotten a bad wrap with how inaccurate pedometers were. But, fitness watches are pretty high tech. A Fitbit is a great one to start with. Encourage your friends to get them and you can start fun weekly contests to help keep each other motivated. Another option is an Apple Watch, they cost a bit more but are sleeker and are more accurate if you spend a lot of time pushing a stroller as things are tracked through GPS. The Apple Watch also allows you to see what friends are doing and congratulate them on goals met. What are you waiting for? Get out there and start moving!